Chrichton's World: Review Remo Williams: The Adventure Begins (1985): This should have been a franchise! 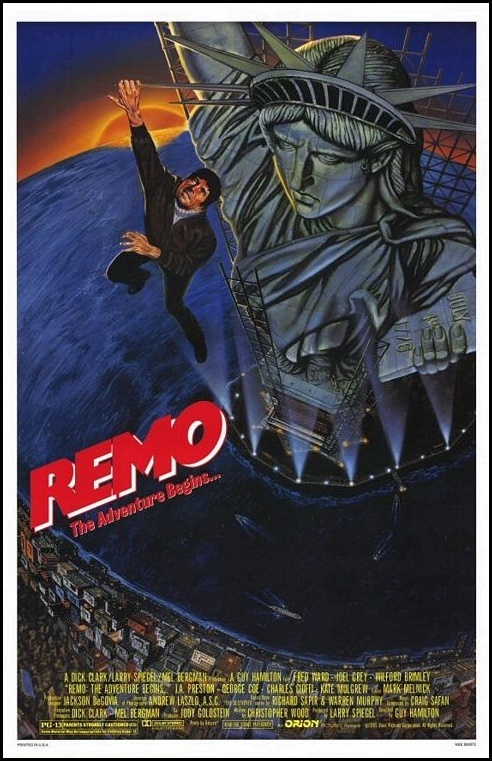 Review Remo Williams: The Adventure Begins (1985): This should have been a franchise! Sometimes you come across a film so brilliant that it is astounding that it did not get the recognition and popularity it deserves. Because make no mistake Remo Williams is an action classic. Even now it holds up quite well except maybe one curious decision concerning the portrayal of Chiun, the Korean Master. For a long time I thought the actor was Asian. Imagine my surprise Joel Grey was white. In the special on the blu ray he mentions that he didn't think he was suited for the role and that they should have picked a Korean actor. But they convinced him that he was what they were looking for. Despite that Joel Grey did his best to respect Koreans and not make a mockery of things. I think he has succeeded. However it can be argued that this film is a parody on the master-student trope in martial arts films. So naturally some elements can't and should not be taken seriously. Actually while Remo Williams mostly is intended to be fun it does manage to be serious when needed. The martial arts featured in the film is called Sinanju and is completely fictional. It's from the paper books serie The Destroyer that lampoons politicians, politics and other adventure novels. This fictional style is more focused on next level avoidance and acrobatics. Like dodging bullets and being light on the feet. It's fresh and original. Therefore very interesting and compelling to watch. But most important is the relationship and dynamics between Remo and Chiun. Both Fred Ward and Joel Grey pull the father son type relationship quite masterfully. It's an absolute joy to seem them in action. Especially when Chiun insults Remo. In the special about Eighties films and their treatment of female characters Kate Mulgrew who plays Major Rayner Fleming hints that their is more a love story between Remo and Chiun than her and Remo. The special was pointing out that these Eighties action films were more about the men and women hardly mattered. To a point that some people say these movies were full of homo eroticism. Honestly that reeks of reaching a little however I would not be surprised if that was the intention. In case you have seen that special and think that is what is going on with Remo and Chiun I have to disappoint you. It clearly is more of a father son or older brother younger brother relationship. And why not? Here you have two loners put together by fate and they get to bond with each other. It's something that is what gives this film it's charm. That and the comedic overtone but played so seriously they almost fool you that you should take it all seriously. Which of course you shouldn't. Remo Williams remains fun even after multiple viewings. It has not lost any of it's sharp criticism towards certain political ideologies and the corporate attitudes that still exist today. They had planned for this film to be the start of a franchise but due to this film not doing well they ditched that idea. If there ever was a film that deserved better it's this one. So do yourself a favour and go watch this you will have a blast!